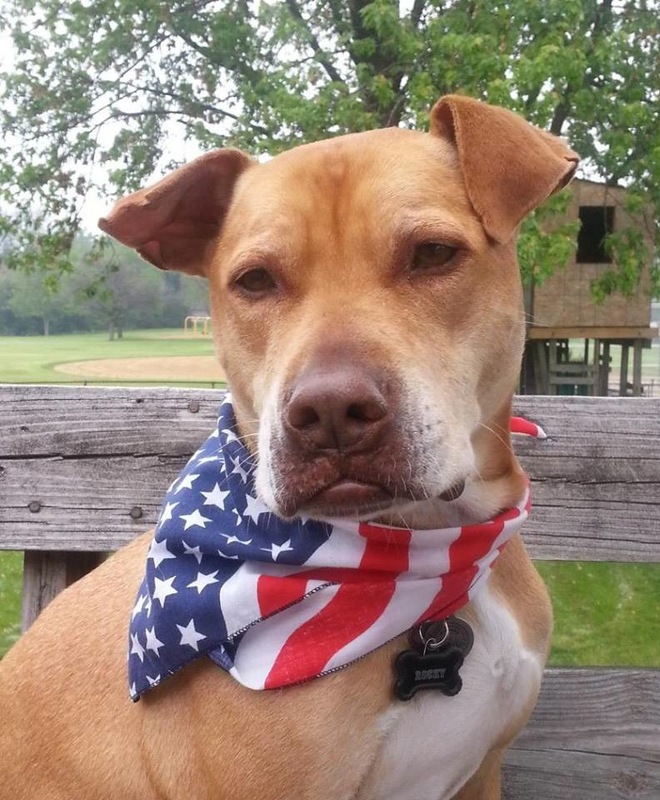 If you visited the dogs at Orphans of the Storm® any time in the last few years, you probably met Rocky the Labrador Retriever mix (who just so happens to be featured on the banner image of this blog!). Rocky waited at the shelter for several years before he was finally discovered by his new furever family–and now, five months later, Rocky’s mom Arlene sent me a wonderful update and adorable pictures of Rocky! 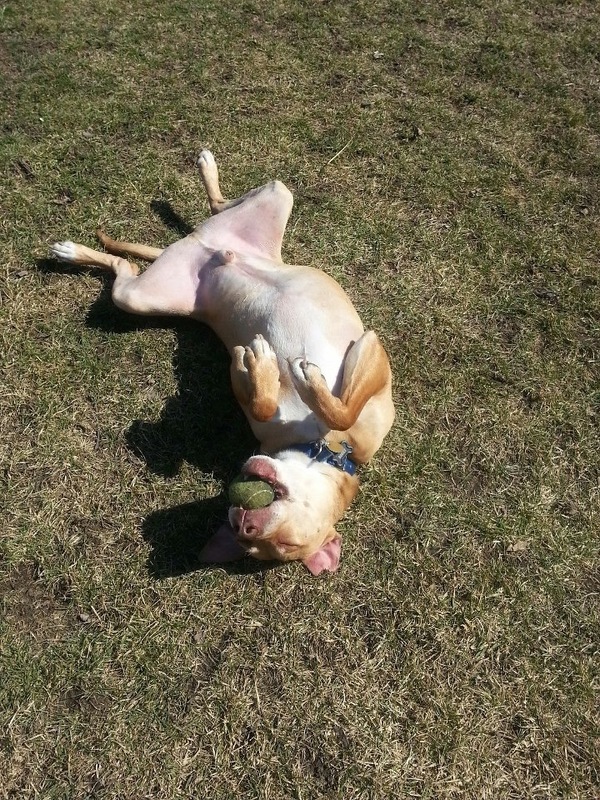 “Just wanted to update you on Rocky (still Rocky) who came furever home with us in Feb. 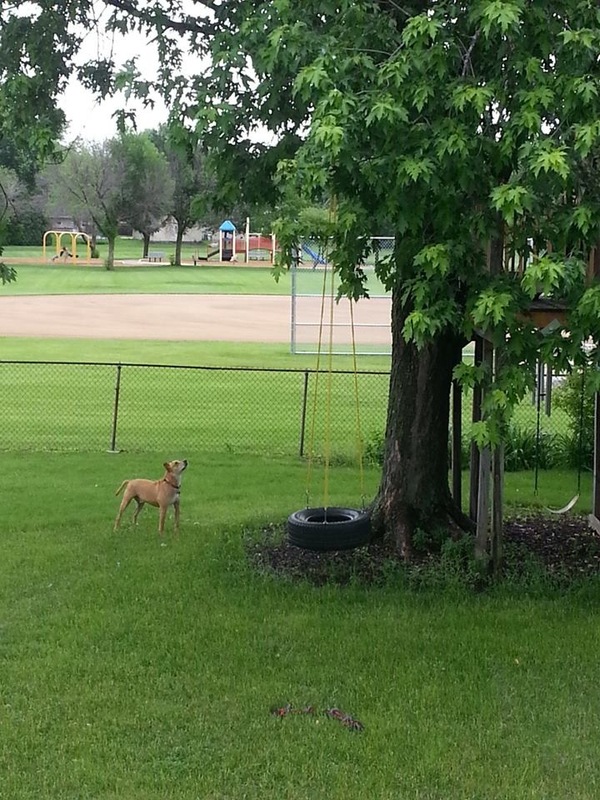 He is having fun everyday running around his big yard, rolling in the grass, chasing the squirrels and rabbits, and making friends with all the neighborhood dogs that visit the park directly behind his yard. After two weeks of doggy boot camp, he is learning to accept new friends visiting us while still being a good protector. 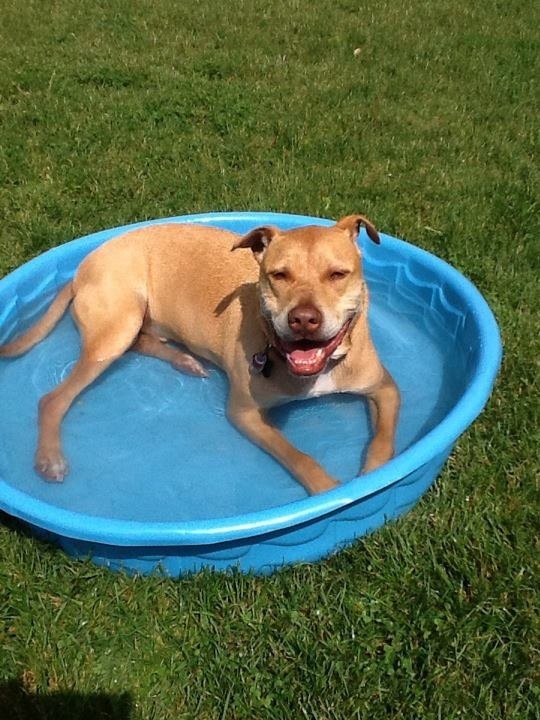 He loves his doggy pool and enjoys his long walks or running while we bike in the woods. Rocky loves the sun and naps in the shade in the glider swing or hammock with his kids. He brings so much love and doggy kisses to each day and we can’t get enough of his beautiful smile! If you have an Orphans of the Storm® success story that you’d like to share on the blog, please email meetthepooches@gmail.com. 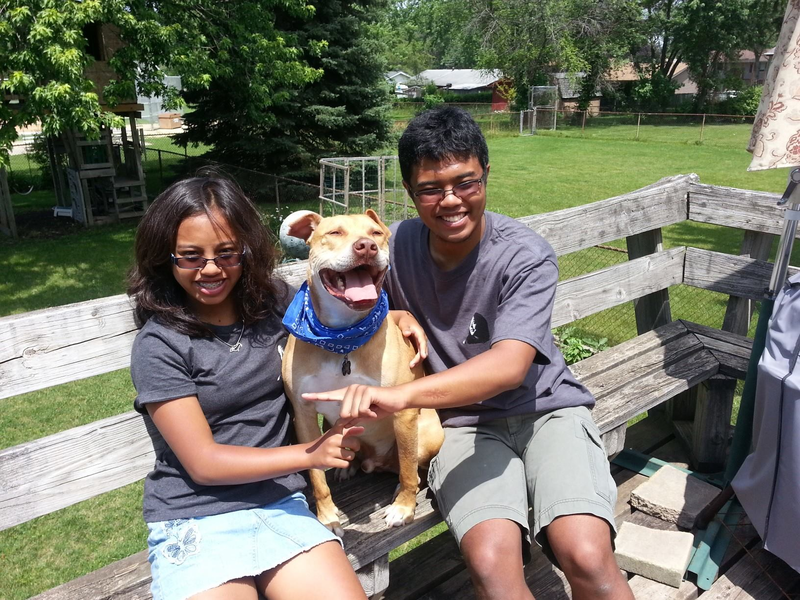 Posted by Meet the Pooches on July 17, 2013 in Interview and tagged adopt, adoption, animals, Chicago, dogs, Orphans of the Storm, pets, Success Stories. That would be wonderful! Thanks, Jackie!